Welcome to Lords Seat, a family run Bed & Brekfast in the North Lakes. A short distance from the bustling market town of Keswick and the spectacular Borrowdale Valley lies Lords Seat Bed & Breakfast. Located in the Northern Lake District in the village of Thornthwaite we are ideally placed to explore the many attractions and natural beauty of the area, whether hiking, cycling, braving more adventurous activities or simply sightseeing. We have two spacious, newly furnished en-suite bedrooms providing a perfect base to explore the Lake District from. With a full cooked breakfast served between 8:30 and 10:00am in our dining area the day can start as eagerly or leisurely as you wish. As well as packed lunches on request, free WiFi & parking, secure indoor bike storage, outside seating areas and walking leaflets we’ll offer help and guidance where needed. 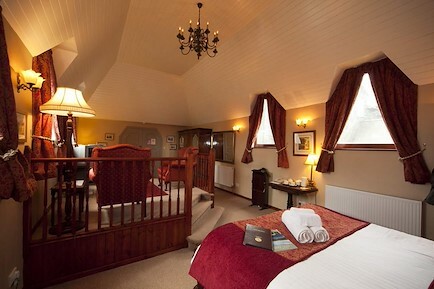 We hope to make your stay as comfortable and enjoyable as possible whilst you stay with us. Your enquiry will be sent directly to Lords Seat Bed and Breakfast. Please fill in as much detail as you can.